The English Setter “Setting dogges” is most notable for its unique speckled coat. Its charm and good nature make it ideal for homes with children and other pets. As one of the British setters, the English Setter was specifically created to endure the terrains of Scotland, Ireland and England. Early Europeans found the dog to be a proficient hunter. 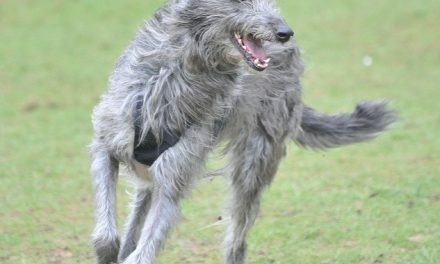 Its hunting abilities have been contributed to its strong sense of smell, medium size and strong hindquarters. Evidence shows that the English Setter was created in the 15th century about 400 years ago. Dr. Johannes Caius mentioned the English Setter in an article. He described the dog as having speckles of white and black with tremendous fowling abilities. Over the next two centuries, the English Setter continued to grow in popularity. By this time, the dog had captured the hearts of the very young and old. In the early days, the dogs were actually used as bird dogs. Today, they’ve managed to find a place in the hearts of consumers far and wide. This is why they’re one of the most beloved breeds on the planet. The setter has changed a bit over the years. In fact, the setter that you know today is much different from the one that was present many years ago. Today’s English Setter developed its appearance with the help of Edward Laverack, who lived from 1800 to 1877. Laverack actually developed his own strain. He did so through careful breed and he wasn’t the only one who shaped the breed’s future. 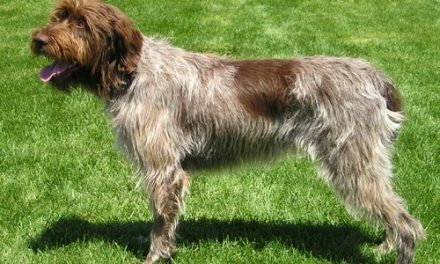 It is also true that R. Purcell Llewellin’s breeding helped to create the setter as it is today. In the old days, it was very common for the dog’s breed to be named after the owner. For instance, there was the Laverack Setter and the Llewellin Setter. While the Setter has changed a bit since those days, those changes have not been significant. The American Kennel Club was established in 1878. During that time, the number of recognized breeds was very small. In fact, there were only nine accepted sporting breeds. 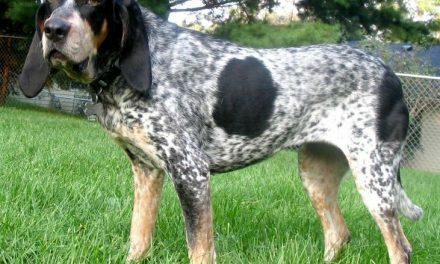 English Setters just happened to be one of the first. Even more amazing is the fact that the AKC’s first registered dog was an English Setter. The dog’s name was Adonis. The dog was born in 1875. It was recorded that Adonis was sired by Leicester and his mother’s name was Dart. The dog’s colors were black, white and tan. 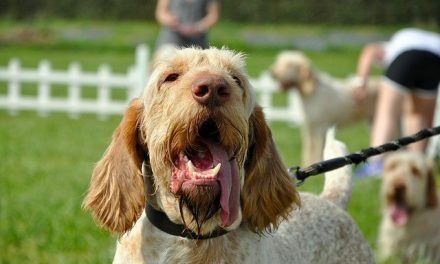 Since then, millions of English Setters have been registered with the organization. Before choosing a dog for your family, you most definitely need to spend some time learning about the breed in question. So, what can you expect in terms of the temperament of the Setter? The good news is that these dogs are very gentle. In fact, their temperament is often referred to as a “Gentleman by nature”. Setters tend to be very strong-willed and some will be mischievous. You shouldn’t be surprised that your dog is going to dig holes in the back yard. They’re energetic and love being around people. This makes them a great choice for families. They’re also a good choice for people who intend to hunt. Setters are going to work hard and they’ll be loyal to their owner. As you probably already know, some dog breeds are more prone to certain diseases. This is true with English Setters. This specific breed can be impacted by genetic problems. The most common type of genetic problem is going to cause deafness. In 2010, the Louisiana State University tested 701 English Setters. It was determined that 12.4% of those dogs were suffering from congenital deafness. These dogs are also vulnerable to autoimmune thyroiditis. 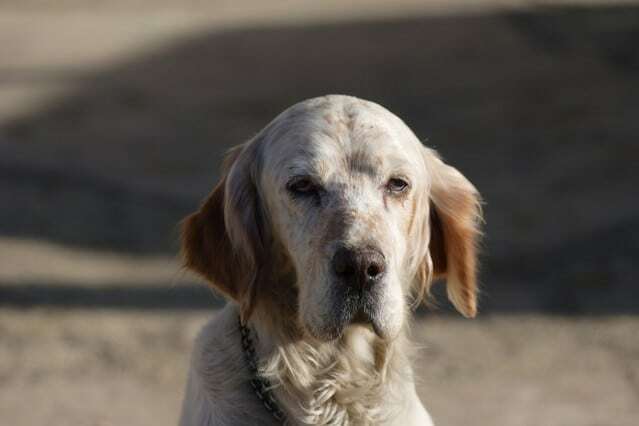 Other potential problems associated with English Setters is elbow dysplasia, hypothyroidism, and allergies. If you’re going to bring an English Setter home, you will definitely want to get the dog inspected by a vet! Finally, you should learn more about the life expectancy of the English Setter. On average, these dogs can live anywhere from 11 to 12 years. It is common for these dogs to live as long as 13 to 15. Just remember that every dog is different.